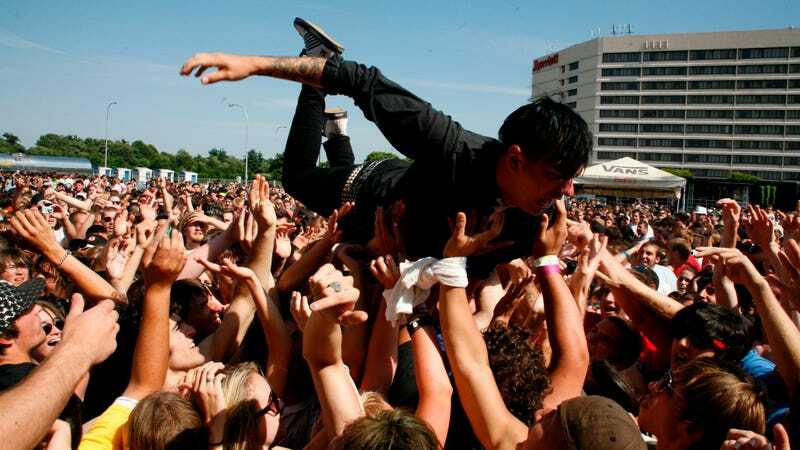 After 24 years, the Vans Warped Tour will finally call it quits, just as scumbags of the alternative rock scene are being outed left and right. Festival founder Kevin Lyman announced the news today in a statement, saying the tour will have its “final, full cross-country run” next summer. Lyman gave an interview to Billboard’s Chris Payne, who writes that “an evolving summer festival industry, a shrinking pool of bands, and declining ticket sales amongst its teenage demographic are to blame” for the fest’s cessation. Lyman tells Billboard, “to be honest, I’m just tired.” Delicate words about a place that quickly became a toxic shitstorm. Warped Tour may have been a launching pad for a crop of bands who wouldn’t have found a platform at other festivals, but that didn’t mean it was a safe community for its young female fans. The list of sexual assault allegations stemming from Warped Tour shows, acts, and unearned attempts at redemption on the festival’s stage have been well-documented. Why not get rid of one of punk music’s most forgiving platforms?